You never know when an emergency can pop up when you're driving. Flat tires, engine problems, and even accidents can occur at the drop of a hat, and OnStar is designed to help drivers in their time of need. OnStar advisers can help summon a tow truck to your vehicle, call for police assistance, or even just talk to you if you're feeling nervous when you're driving. They also call you if something out of the ordinary happens, like having your airbags deploy. OnStar does charge a monthly service fee, but it's worth it when you consider the essential safety features you're paying for. Cars have been toying around with number keypads for keyless entry systems for a few decades now, but keyless lock technology has come a long way. Keyless entry systems allow you to unlock your car by pushing a button on a remote. This may seem like a frivolous extra, but there can be a lot of situations where having keyless entry can be helpful. You won't have to fumble for your keys when your hands are full of groceries, and you won't have to struggle with keys if you're parked in an unfamiliar and poorly-lit area. 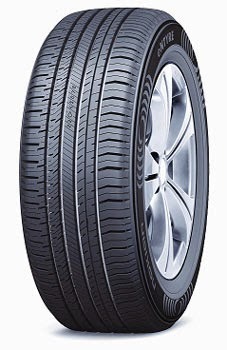 If you want a vehicle that runs well and is safe, you're going to need to invest some money in good tires. Some people may act like experts when they go to a dealership by kicking a few tires, but that won't do much to help assess their quality and safety. Learn how to identify good tires before you purchase anything for your car. If you can't find what you're looking for at a shop, you could easily find Nokian tires for sale or any other brand of your choice online. Most cars used to come with cigarette lighters, but if you want a useful feature, you should look for a car with an extra power outlet. Think about how many electronics you have when you leave your house for work, or just go out. You probably have a smartphone or regular cell phone and maybe a tablet computer. If you have a reliable source of power in the car, you won't have to worry about having any of your devices die on you at the wrong time.